As a pet-owner, it’s easy to believe that you’re the ideal candidate for house-sitting. You can clearly demonstrate in-depth experience at looking after pets, plus of course a love of pets. But unless you’re planning on leaving your own pets behind, organizing a house-sit where you plan to bring your own pets along can be challenging. As someone who’s house-sat multiple times bringing along my own small dog, here are my tips. To understand why a home-owner looking for a house-sitter may be hesitant to choose someone with their own pet, it helps to consider why the home-owner wants a house-sitter. Often the home-owner’s pets aren’t happy at staying in a kennel environment surrounded by other pets. Their pets may be defensive and easily provoked by other pets, or just easily scared. If you are intending to bring along your own pet to a house-sit, the same issues apply. If the house-sit includes a dog and you have a dog, the dogs may not like each other, especially if they are of differing sizes and temperaments. If the house-sit includes a cat and you have a cat, their cat may not take kindly to another cat intruding on its territory. And then there are the complications of combining dogs and cats! Also, many house-sits include multiple animals, both dogs and cats, complicating the balance of relationships further. Even if both yourself and the home-owner are confident that your pets will like each other (and it’s impossible to know for certain beforehand, especially with the complication of being on one pet’s home turf), issues may arise. There’s the dilemma of what to do when you head out to the supermarket, leaving all the pets behind. Plus possible arguments between the pets over food, treats and toys. And meanwhile, you may have a month or longer house-sit stretching out in front of you, with pets that don’t get on. No wonder many homeowners go for the simpler option of choosing a house-sitter without any pets, when they want to be assured that everything will go smoothly. The best way to deal with these potential conflicts, and convince a home-owner that you are the right house-sitter for them, is to anticipate the issues that could arise. That firstly starts with knowing your own pet and their temperament, and not applying to house-sits that you’re not confident your pet will also enjoy. For instance, I have a small dog and I know that he’s not always comfortable around large dogs. So, I avoid applying to house-sits with dogs over a certain size. I also avoid applying for house sits with cats, at least indoor cats. When applying to a house-sit, be upfront with the home-owner about your own pet and theirs. The biggest no-no would be to not mention at all that you’re intending to bring along your own pet, and spring it on them at the last moment. Include plenty of details about your own pet, so that they can make an informed decision. And be gracious if they turn you down. 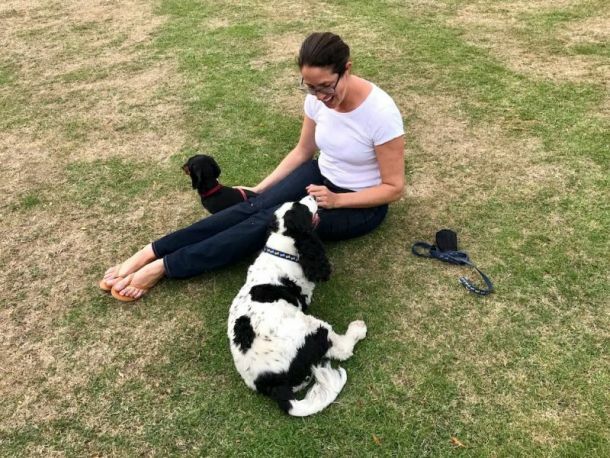 As it’s always difficult to know how animals will get on in advance, it would be ideal to introduce your pets in advance, before a final decision is reached. However, this will only work if you live locally. In the house sits I’ve completed with my pet, this hasn’t been possible; instead we’ve had a long Skype conversation so we can at least clearly see each other’s pets. Finally, at the actual house-sit be cautious about contact between the pets. When the pets initially meet, it’s ideal if they can meet on neutral territory, not inside the house. Then keep a close eye on all the pets during the sit, and if necessary separate them at times, especially when being fed meals. If you are leaving the house, it’s best if you can leave the pets in separate areas - such as two separate rooms inside the house, or one pet inside and the other outside. Discuss your plans for this in advance with the home-owner. An extra tip: if you haven’t previously house-sat, consider firstly getting an initial house-sit and recommendation under your belt, without taking your pet. Plus, the easiest house-sits to line-up are repeat house-sits, where you already know that your own pet fits in happily in the household. If you are intending to bring your own pet along, keep in mind the requirements for taking your pet across country borders, before applying to international sits. Sometimes it’s easy to move around with your pet, such as within the European Union, as long as your pet has a passport and a rabies vaccine. But there’re other countries that are more difficult to enter. In particular, some countries require most pet arrivals to go into quarantine. Examples include Australia, New Zealand, Hawaii, Japan, and Singapore. When bringing a pet into Europe, there are specific rules to be followed until a PETS EU Passport can be obtained. In these cases, leaving your own pet behind (perhaps with their own pet-sitter?) makes the most sense. 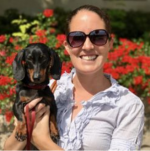 Shandos Cleaver is the founder and blogger-in-chief of Travelnuity, a travel blog focused on dog-friendly travel around the world. 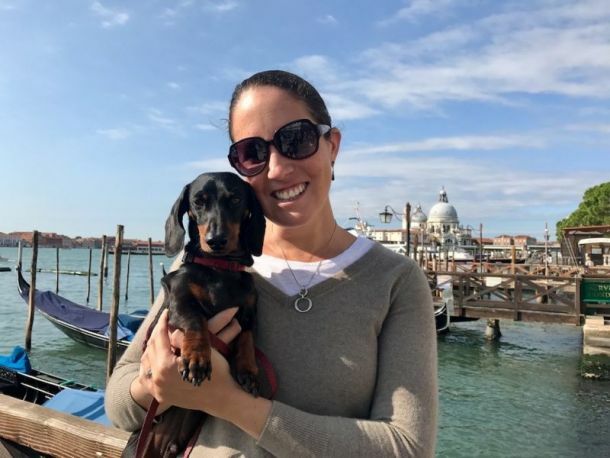 Currently travelling in Europe with her Miniature Dachshund, Schnitzel, Shandos realised there was a shortage of information about travelling with a dog. Travelnuity aims to provide hands-on information to other dog-loving travellers, whether about sight-seeing, transport options or where to stay, plus inspire more people to travel with their dogs.